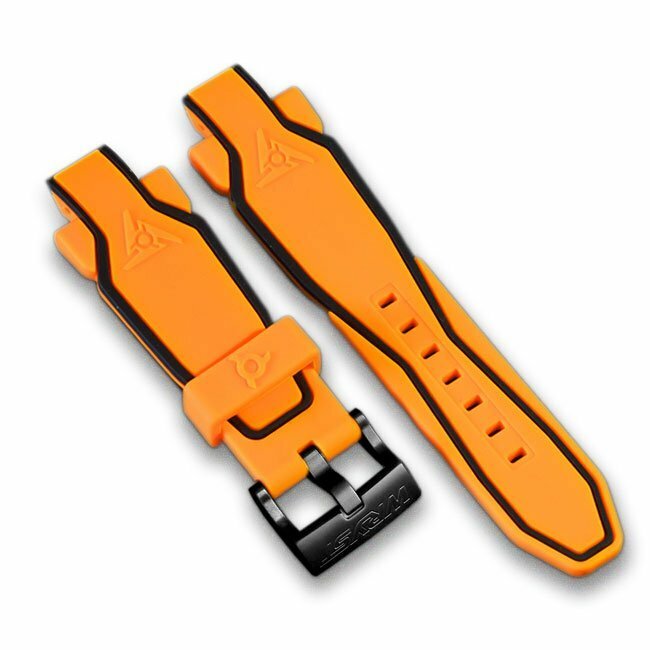 Orange sports watch strap with black side lines and square black DLC buckle. Stunning two-tone bracelet for orange Swiss watch Wryst Elements PH5 with black DLC casing. 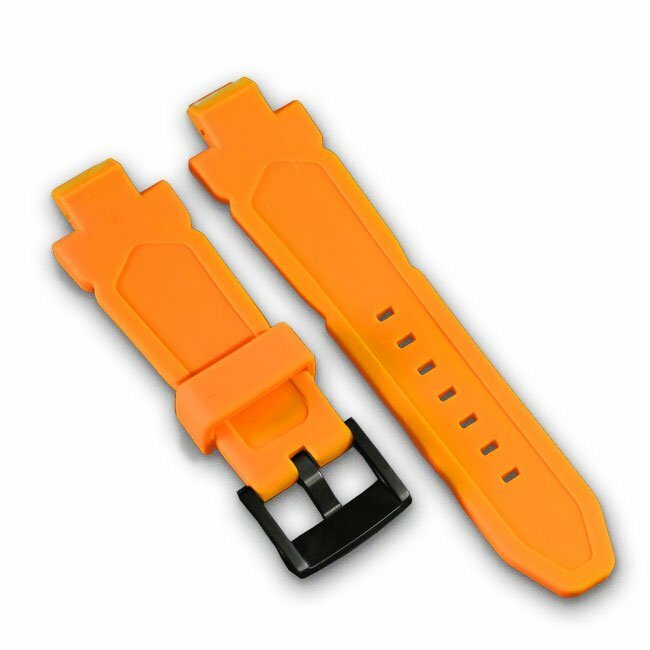 This quality silicone strap with an unusually strong design is comfortable and ultra sportive. Receive this replacement band fitted also with a black brushed DLC coating. The DLC material is the world's most scratch-resistant protection for a Swiss timepiece. Choose a versatile and colorful watch for your outdoors and extreme sports. Are you looking to match the color of your watch to your car, your motorbike or your mountain bike? This will match perfectly any orange sports equipment with also some black details. The unique Wryst Elements PH5 is initially including one orange and also one black band. This will make a perfect replacement and your watch will look great again like on the first day. Can be perfect also for the limited edition black and orange Swiss sports watch Wryst Airborne FW5. This model was the first collection released by watch brand Wryst and only 75 pieces were ever produced.